THE EPATTERN YOU ARE PURCHASING DOES NOT HAVE THE INSTRUCTIONS OR PATTERN PIECES TO DRESS YOUR FOX LIKE A WITCH... NOR DOES IT TELL YOU HOW TO MAKE THE JOL WAND. THE EPATTERN YOU ARE PURCHASING GIVES PATTERN PIECES & INSTRUCTIONS ON HOW TO MAKE THE FOX AND CHICK. WHERE YOU WILL SEE THE FOXY WITCH...IN THE MAGAZINE THERE ARE NOT PATTERN PIECES OR INSTRUCTIONS TO MAKE THE FOX... 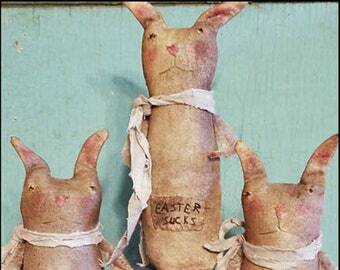 BUT, AS STATED ABOVE THAT'S WHERE YOU WILL FIND HOW TO DRESS YOUR FOX LIKE A WITCH AND MAKE THE JOL WAND. 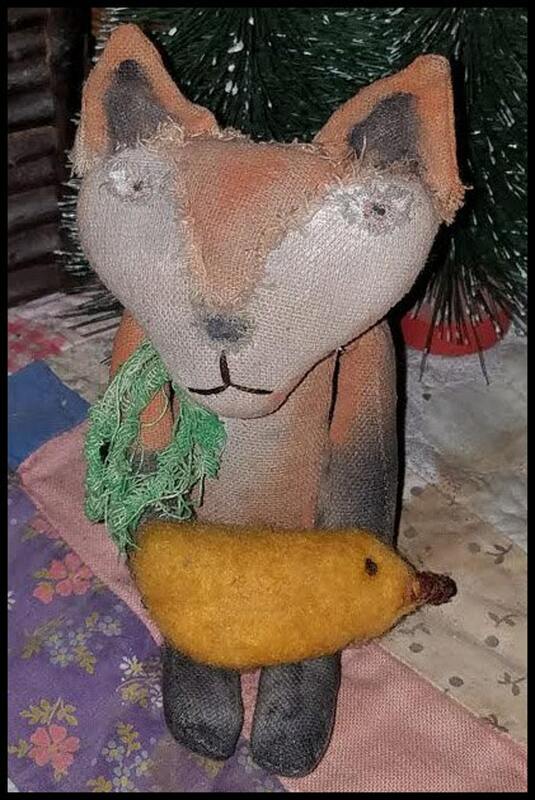 A VERY primitive Fox with his needle felted chick! FREE BONUS video on how I make my staining liquid! Pattern comes with numerous photos to help ya out!! Small enough to hang any where, but he CAN be free sittin' with a bit of encouragement!! Love the facial expression! The pattern and instructions printed off just fine. Always a happy camper when I purchase items from this shop. Thank you! Thank you for another great pattern, this one is so much fun!